There is metered parking on N. Westmoreland St (Free after 6 pm). You can also park in the Econo Lodge lot around the corner. Located within walking distance (0.3 mi) from West Falls Church metro station on the Orange line. Open Mic on Fridays starting at 8:30 pm. Belly Dance Performance + Live Music on Saturdays at 10 pm. For details, please "LIKE" our page: www.facebook.com/yaylabistro. Open Mic Night on Fridays starting at 8:30 pm. We cater for parties of any size in the greater Washington DC area. Let us do all the work so you are free to be the perfect host. Email to contact@yaylabistro.com to receive the catering menu via email. 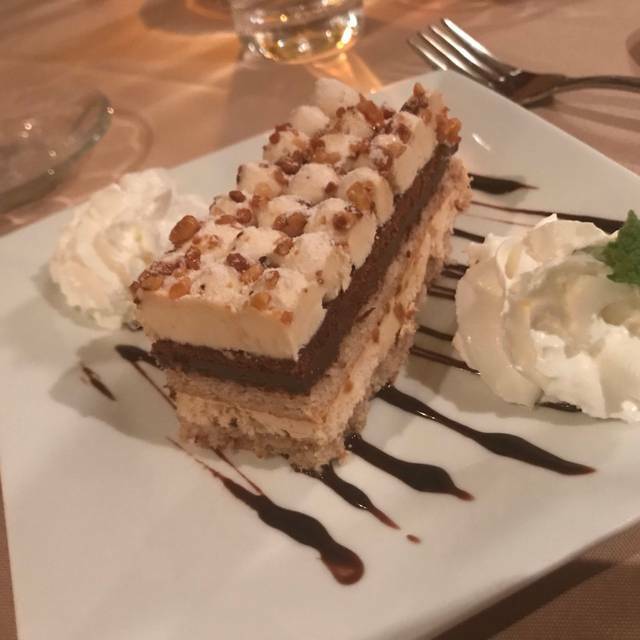 Yayla Bistro is delighted to offer delicious and healthy Mediterranean cuisine to our local neighbors in Northern Virginia.Our floor plan is ideal for private events and parties. Bar area is separate than dining room. Dining room could accommodate up to 50 people. Yayla Bistro offers the most delicious Mediterranean food that you will ever taste. All of our dishes are prepared in-house by our team of Turkish chefs. "Yayla" stands for everything that is natural, pure and fresh, and at Yayla Bistro we use only fresh, top-quality ingredients to make traditional and healthy Mediterranean specialties. You are going to love our food! Half-price bottles of wine on Mondays, Early Bird Dinner Menu from 3-6 pm Mon-Fri, Open Mic starts at 8:30 pm on Fridays, Belly Dancer + Live Music at 10 pm on Saturdays, Brunch from 11-3 pm on Sat-Sun. Pan-seared halloumi cheese served with orange marmalade garnished with tomatoes and parsley. Sauteed shrimps with wine, lemon, and olive oil topped parsley. Turkish-style ravioli stuffed with ground beef &and lanb topped with garlic yogurt & homemade tomato sauce. Grilled ground beef and lamb with red peppers, onion, garlic, and herbs on skewer served on a bed of pita bread. Grilled marinated cubes of filet mignon on a skewer, topped with tomato sauce. Grilled ground beef and lamb patties with garlic, onion, cumin and spices. Served with cacik. Fresh sun dried apricots with walnuts, served over vanilla mascarpone cheese topped with caramel sauce and crushed pistachios. Very impressive menu, large variety, many options for meat lovers and vegetarians. Our server was very knowledgeable and very attentive. We will definitely come back and bring friends. The drinks were delicious. We had the zucchini patties, Htipiti, and calamari for appetizers. My friends did not like the way the calamari looked since it was large pieces of grilled squid, but everything else was delicious. Greek salad and lamb kabob for dinner was enjoyed. Great lunch, great service, will be back; thank you! This is one of our favorite restaurants. 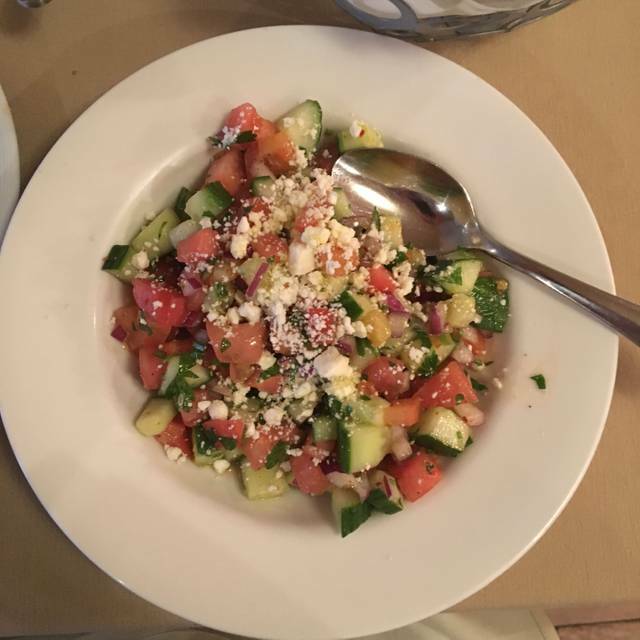 I have been there for many lunches with friends, as well as dinners with my husband, and I love introducing friends to Yayla Bistro. Service is friendly and courteous, and the food is quite good. I especially love the red lentil soup and the Shepard's Salad for lunches, and the dinner menu is filled with wonderful dishes. 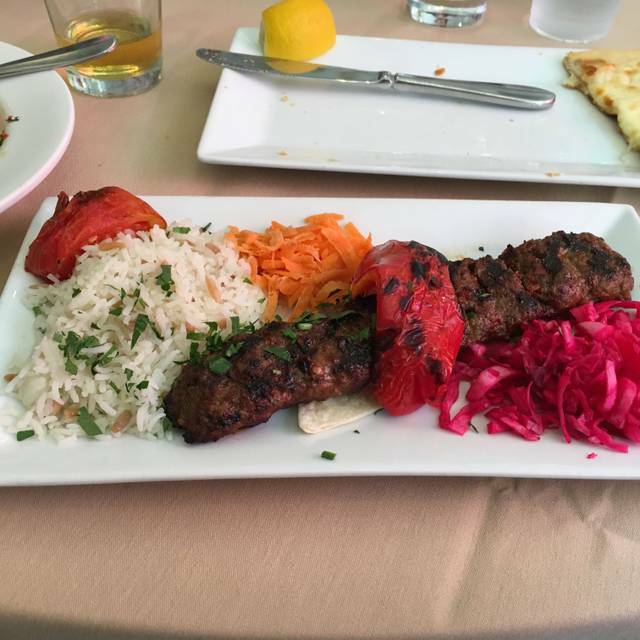 I highly recommend Yayla Bistro. Fourth time here, have never had anything that was less than fantastic. Highly recommend! I’m picky about lamb and here will order it every time because I know it will be perfect. Very well prepared Turkish food. If you’ve never had Turkish food, it is comparable to other Eastern Mediterranean cuisines - hummus, kibbe, falafel, kabobs. I particularly recommend the cold appetizer dips to go with Yayla’s delicious bread - dips such as Ezme and Cacik. A safe crowd pleaser entree for sharing is the mixed grill. Price is not cheap. Dinner for four with beer or wine can easily pass $150 (that includes tip). Food was delicious. I enjoyed spinach flatbread and a salad, and the waitress recommended a good rose wine. Loved the male belly dancer! We were impressed with the service and the food. 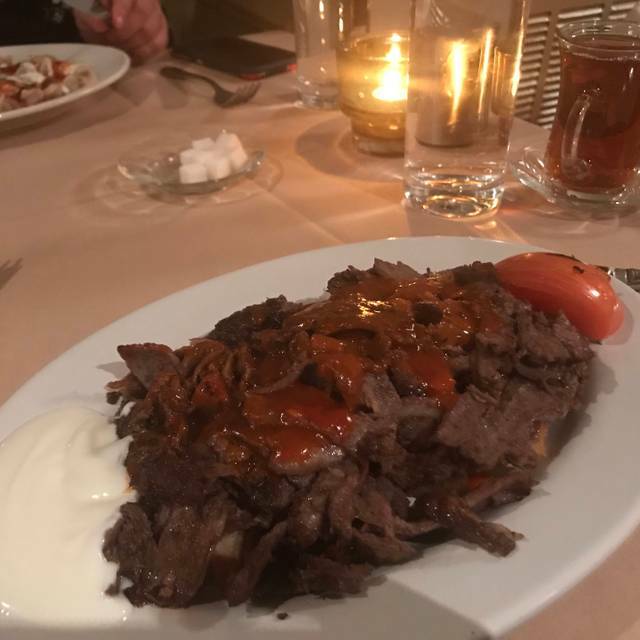 This was my second visit to Yayla Bistro and it is among my favorite places in an area of excellent restaurants. Congratulations Yayla. You are so very good. This place is awesome. Food was great and the atmosphere is nice. We really enjoyed our meals and will be back again soon!! Everything was delicious, the restaurant was well kept and clean. Our server, Rona I believe, was phenomenal. We enjoyed every moment. A wonderful, low key place, very friendly and neighborly. Tasty food cooked perfectly. Very attentive service, nice ambiance, low noise levels good for conversation. A belly dancer on weekends. Wonderful food and very personable and efficient service. We were seated immediately and our food came out quickly after we had ordered. Highlights were the desserts! Very good food and good service. I liked the comfortable seating, as well as the fact that the restaurant was reasonably quiet so that everyone at our table could easily hear one another. Another plus: easy parking as we parked in a nearby garage that had lots of empty spaces, with no charge at night. The prices for menu items was very fair. So, I highly recommend Yaylo Bistro for a fun and enjoyable dinner. The entire experience was EXCELLENT ... food, wine, service, people, vibe in the room. I highly recommend Yayla Bistro to friends and others! I've eaten there about 10 times - never disappointed. Such a lovely restaurant. From the ambiance to sevice it is top notch. Great value and fresh, amazing Turkish tastes! I've been for lunch and dinner, and the setting is always relaxed, comfortable, and never too loud. Great vegetarian options! I had a kind of vegetable stew with white rice. The stew and artichoke side were very nice but the stew was spicy which the menu did not mention. The rice was bland and with a inappropriate sour cabbage garnish. I realize it was a vegetable stew but it was a bit boring overall. I would have liked a little kebob chicken garnish. My wife enjoyed her chicken kebob. The night we went featured live guitar music (excellent! ), a belly dancer (amazing! ), and even a fortune teller. The food and the service were both wonderful. I will definitely be returning! I am also looking forward to the open mic night the restaurant is starting. This restaurant offers beautiful ambience, great food and service, and so many extras (like the belly dancing, etc. ); it makes for a lovely night out. Love it - we've been there several times. Great food, friendly and very helpful staff. And it's directly across the street from One More Page - a wonderful independent bookstore. Makes a unique and memorable evening (or lunch). Amazing! They were the kindest restaurant I've dined at in a really, really long time. My friends and I were able to sit and continue chatting long after the restaurant closed and we were never made to feel like they needed us to leave. They went above and beyond to make us feel at home at their restaurant. It was Valentine's day weekend and I was very happy for the restaurant that it was packed. However the change in the outdoor temperature and the packed house led for a very warm and loud dining experience and the fact that the house specialties were sold out by 7:30 made it the least satisfying out of the 5 or so times my family has dined there. Still we'll probably be back. Everything was really good and the service attentive. It was a Friday night and there was the feeling that things were being hurried along. Our entrees arrived very quickly, and although the service was excellent, we felt the staff needed /wanted to clear tables quickly. It would not have been a good time for a conversation of any length. Great experience, great food, and great service. The filet mignon that came with our three-course Valentine's Day meal was impeccable! I'd recommend this friendly, delicious, and relaxing place! The wine list only had one bottle of sparkling wine on it. With so many great, inexpensive bottles on the market today, this is an oversight that should be remedied. Excellent service, excellent food. We enjoy coming here and we bring our guests. Terrific food, moderately priced, with excellent service in comfortable surroundings. A very “family “ feel. A pleasure. 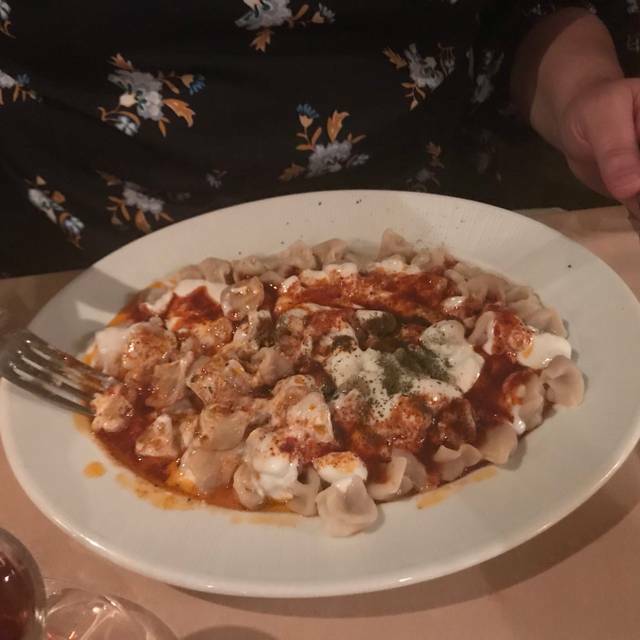 Yayla deserves its rating at the summit of DC-Area restaurants. The food and the service were outstanding. We introduced two other couples to the great food of Turkey. The six of us had Adana Kebap and Lamb kebap, Ayran, and excellent wine. (Unfortunately, Iskenderun Kebap was not on the menu.) We certainly look forward to encore visits. One of the few restaurants within the beltway that actually cares about their customers and delivers on food quality. Thank you! We enjoyed authentic Turkish food accompanied by the legendary the warm people of the Eastern Mediterranean are known for. Staff is amazing as is the food. Great service, great Turkish food!